Upland, California (October 9, 2018) NOTE: We are running this article in its original and biased wording, Biker Trash Network — A candidate for Upland City Council is more than the business owner he declares himself to be on the November ballot, according to records from Upland police. Rudy Zuñiga, 47, is a documented member of the Vagos outlaw motorcycle gang, police records show, leading the city’s top cop to question his fitness for elected office. During a traffic stop seven years ago, Zuñiga told Upland police Officer Maurice Duran he was a member of the outlaw group, according to the field interview report filed by Duran that day. Since Zuñiga announced his candidacy for Upland City Council, he has made mention of his affiliation with motorcycle enthusiasts but has not publicly identified the group. “Through the whole process of my divorce, I was building a motorcycle,” Zuñiga said on the video. “It kind of helped me get by and get through the days, and such. “So I built my bike, I got it on the road. I started riding all the time by myself. At the time, I didn’t have any friends who had motorcycles,” Zuñiga said. “I used to go to this one spot over by my mother’s house, and there was a bunch of guys always hanging out with motorcycles and I’d stop in and hang out and talk to them. They were pretty cool. They turned out to be pretty good guys. I started hanging out with them for a bit. And more and more and more. And I ended up joining up with them. 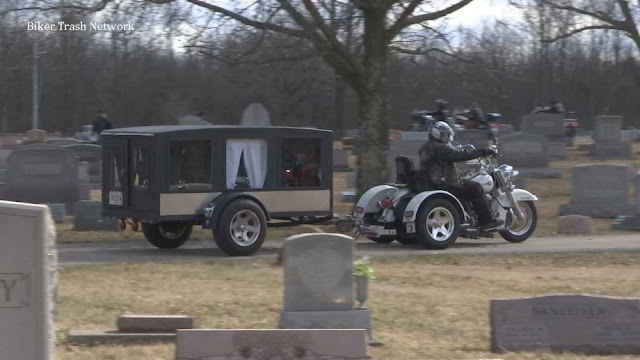 In the video, Zuñiga never identifies the motorcycle group he joined. Zuñiga twice declined to discuss questions about the group when contacted by a reporter. In a brief telephone conversation Monday, however, he said he is not affiliated with a gang. “I have not committed any crimes. I am not in a gang. I am not in a motorcycle club. I don’t know what to tell you,” Zuñiga said before hanging up on a reporter. According to documents obtained from the Upland Police Department under the California Public Records Act, however, Zuñiga has identified himself as a member of the Vagos outlaw motorcycle club. On March 5, 2011, Officer Duran stopped Zuñiga for having a modified exhaust on his motorcycle and for not wearing a helmet. “Which he states means ‘going green,’ but I believe actually means ‘gang green,’” Duran wrote in his report. Members of the Vagos refer to themselves as the “Green Nation” on their website and use green throughout their attire. “Zuñiga refused to let me take photos of his tattoos and his fingerprint,” Duran continued in the report. Fingerprints and photos are typically collected for use on a gang card, a document shared between agencies to help them identify known and suspected gang members. Whatever they may call themselves, Upland’s police chief says there’s little question what kind of organization the Vagos actually are. The Vagos website lists a “Badlands” chapter based in Upland. In 2012, Keith Allen Silva, the former president of the San Bernardino Chapter of the Vagos, was sentenced to 75 years to life for the 2003 killing of a man over the sale of a motorcycle. In June 2017, federal agents arrested 22 alleged Vagos Motorcycle Club members in the Inland Empire and around Southern California, accusing them of committing violence against rival gang members — and even their own — and building their territory through crime and intimidation. According to Hunter Glass, a ationally recognized expert on street gangs, gang mentality and culture, few members ever fully cut ties with gangs like the Vagos. Outlaw motorcycle gang members often own businesses, usually bars or nightclubs, in which they typically engage in illegal activity, Glass said. “I’d say that would be a real concern for people,” Glass said. Zuñiga describes himself as an “engineer/business owner” in his candidacy filing: He and his current wife run a furniture store in downtown Upland. He’s running for a council seat representing the city’s 4th District. And Zuñiga is running, in part, by appealing to voters’ concerns about safety in the city. He may face an uphill battle politically. Zuñiga is running against incumbent Carol Timm and business owner Tammy Rapp. While there’s no polling on the race publicly available, campaign donations have been highly lopsided. According to his most recently released campaign financial disclosure statement, Zuñiga has raised $4,248 in 2018, including a $600 loan to himself. Other than a $1,000 donation from Rancho Cucamonga-based RMP Management Co., the majority of his donations come from individuals, most of them described as retirees on his California Form 460, filed on Sept. 18. As of Sept. 22, Zuñiga still had $2,740 in his campaign chest. Rapp, meanwhile, has raised $765 so far in 2018 and still has $215 left on hand. But both trail Timm, who has raised $24,705 so far in 2018, including $1,000 received from the Police Officers Research Association of California’s political action committee donated on Sept. 29. As of Sept. 22, Timm still had $15,720 on hand. Zuñiga has been attacked on social media, including in a Facebook page post with photos allegedly showing him in Vagos gang attire. The owner of the Facebook page did not respond to a request for comment on this story. Zuñiga’s supporters accuse Timm’s campaign of engineering the attacks on him. “I have nothing to do with any website like that and I do not know anyone who is involved or behind it,” Timm wrote in an email. California law was changed in 2012, making it illegal for felons to hold office in the state. But Zuñiga doesn’t appear to have been convicted of any felonies. San Bernardino County court records indicate Zuñiga was arrested and charged with driving under the influence in 2000 and being drunk in public in 2008. Both are misdemeanors and both charges were dismissed, court records indicate. He also received a traffic infraction in 2008. Candidates statewide have been called out for questionable ties or possible criminal activity in the past, according to Marcia Godwin, a professor of public administration at the University of La Verne. Omar Navarro, the Republican candidate opposing Rep. Maxine Waters, D-Los Angeles, was on probation until March for placing an electronic tracking device on his wife’s car. 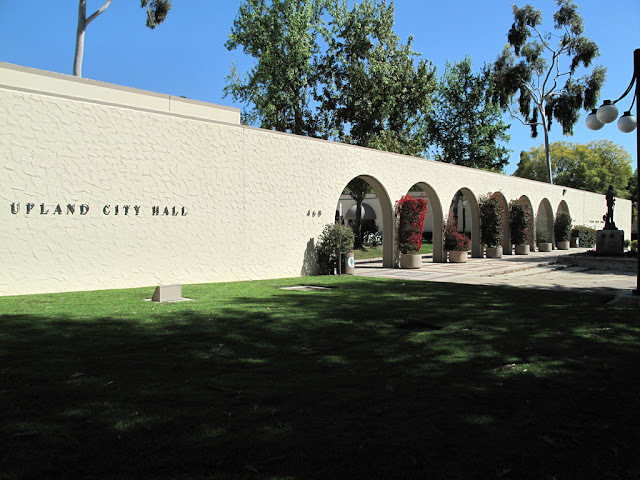 Richard Bunck, who’s made unsuccessful runs for Apple Valley Town Council, Claremont City Council and the Claremont Unified school board, has been dogged by what he said were former connections to a Nazi splinter group, the National Socialist White People’s Party. And three mayoral and City Council candidates in Oroville this November have criminal convictions, including for prostitution, drug possession and impersonating a police officer. Among them, she said, is Luis Rodriguez, author of “Always Running: La Vida Loca: Gang Days in LA,” who ran as the Green Party candidate for governor in 2014. But that’s not what’s happening here, according to Upland’s chief of police. “I believe in redemption and the power of change. I have seen scenarios where people have denounced their gang and totally changed their life,” Goodman said. “However, that doesn’t apply to people who deny they are gang members, deny what the gang is, and deny what the gang does. If a person is lying about their affiliation and deceiving people about the horrific acts of the gang, then they are not done being a member. I do not believe a gang member should sit on any city council and set policy that affects a police department. There is no legitimate, ethical police officer who would disagree with me."